We are excited to bring you this important announcement from Axiom Digital. After spending countless weeks weighing our future we are making important operating changes. Starting today we will officially be starting our transition out of the digital space as an agency and into a more traditional form of advertising. 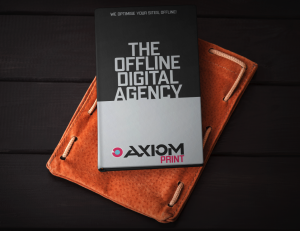 Introducing (drum roll please)… Axiom Print! You will soon begin seeing our new company logo on our website and all social media platforms. We are doing this in order to grow our beloved business into a worldwide leader in all things digital marketing. What does this mean for our existing clients? We will now be managing all of our clients with a revolutionary tool called pen and paper. And as such, we have invested thousands of dollars in only the finest material notebooks and Monte Blanc pens. Only the absolute best for our beloved clients. 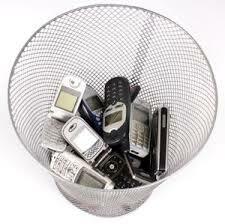 As a result, we have taken the necessary steps to begin liquidising all of our technological assets. This includes all Laptops, Tablets, Mobile Phones & Pagers. Our website will also be taken offline and printed, in its entirety, into a 81 page Axiom hardcover manual, which we will distribute manually to existing & prospective clientele. When new pages are needed, we will reprint the manual and redistribute in order to stay current, similar to how Yellow Pages operates today. We will continue to service our website, SEO & Google Ads clients, but in a way which we believe will help us get back to our roots. This will not not only simplify the way we do things, but give us a whole lot less work to do so we can walk our dogs more often. You may be wondering how this impacts our clients services. Well, we are happy to share our vision on how we will be making this important change while maintaining the integrity of our campaigns. Our SEO Clients need not worry. We will not be able to physically optimise your website or implement the necessary changes using your website login details. We have some strategies in place! Among other things, we will be sending all of our optimisation recommendations directly to Google & other search engines. We hope, in time, Google will notice our requests and update their algorithms accordingly. Please be patient with us during this important transition. We will be updating this blog post shortly with more information on how our Social Media, Website & Google Ads clients are affected! Welcome to the non-digital age.